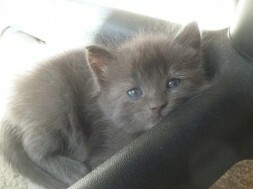 Cats are instinctively drawn to “go” in litter-like areas, so chances are, your kitten is already trained. All you usually need to do is introduce her to the box. Being prepared with the right supplies is important. Do some research online for tips on how to find the right box. Keep in mind that kittens are tiny and need a box with low sides so they can get in and out by themselves. Some kittens will try to eat clumping litter. Not only is this an unappetizing choice for a snack, it can clump up in her tummy and cause some serious issues. 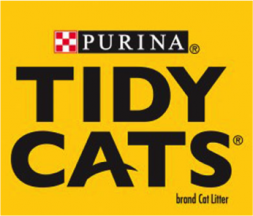 Choose a non-clumping litter until your kitten is about 4-6 months old. Think about helping your kitten get used to her new home by keeping her in one room for a couple days. Once you’re sure she’s using the box (and it should be pretty easy to tell), you can let her explore more of the house.